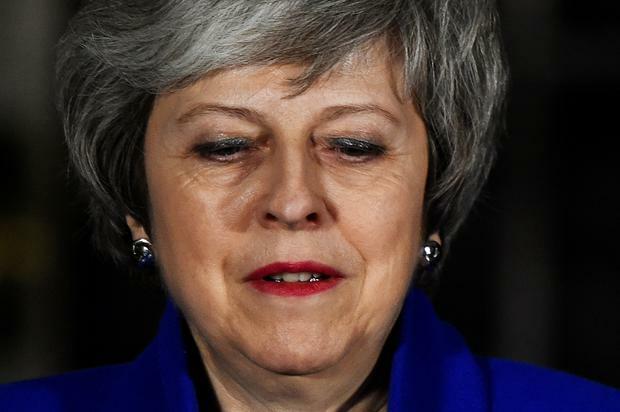 British Prime Minister Theresa May says it is “time to put self-interest aside” as she reaffirmed her intentions to deliver on Brexit. In a short statement outside No. 10 Downing Street, Mrs May described the past 24 hours as “unsettling”. “This evening the government has won the confidence of parliament. This now gives us all the opportunity to focus on finding a way forward on Brexit. The events of the past 24 hours have been unsettling. Overwhelmingly, the British people want us to get on with Brexit,” she said. Mrs May attempted to put pressure on Jeremy Corbyn in her statement in Downing Street. “We must work together to set out what they do want. I’m inviting all MPs to come forward. It is now the time to put self-interest aside. From tomorrow, meetings will be taking place between senior government representatives. I am disappointed that the Labour Party has not chosen to take part but our door remains open. “It will not be an easy task. In a historic vote in 2016, the country decided to leave the EU. Now, two and a half years later, it’s time for us to come together and put the national interest first and deliver on the referendum,” she finished. Earlier this evening, Mrs May narrowly survived a motion of no confidence this evening in the House of Commons, after the crushing defeat of her own deal left Britain’s exit from the European Union in disarray. Welcoming the result, Mrs May told the House of Commons: “I am pleased that this House has expressed its confidence in the Government.